Thanks for a great challenge last week, your color challenge cards were beautiful! Our challenge theme this week is Glitterfree bling! 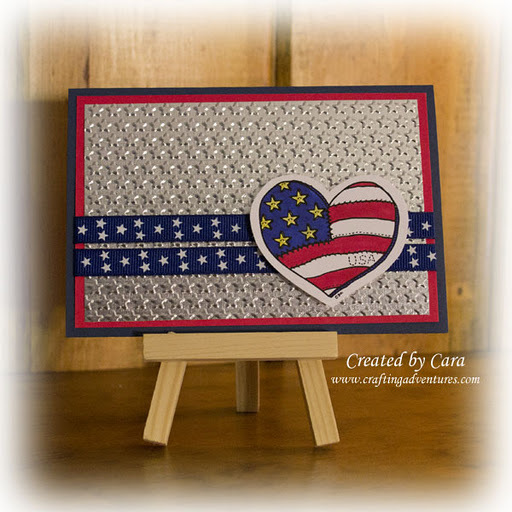 We challenge you to make cards that have bling without using glitter for our heroes to send home to their family and friends! We can’t wait to see your card creations! Our sample card maker this week is Cara! To see more of her awesome creations please visit her blog Crafting Adventures. Cara, Your sample cards are just beautiful. I'm off now to visit your blog. Thanks for being our sample maker today. 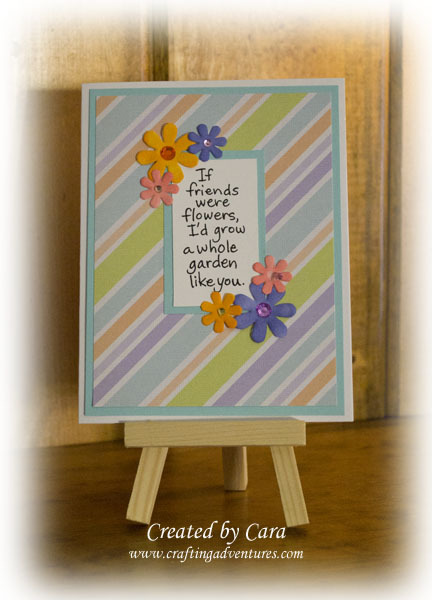 I second that Cara, thank you for being our sample card maker this challenge! Your cards are wonderful, my favorite is the first one with those embossed stars on shimmery paper – nice use of bling with no glitter! Your flower card with the bling on the flower centers inspired mine 🙂 Can't show it till Monday though it's for another challenge too. Jan – Can't wait to see your card on Monday! Love your cards Cara! Great challenge. 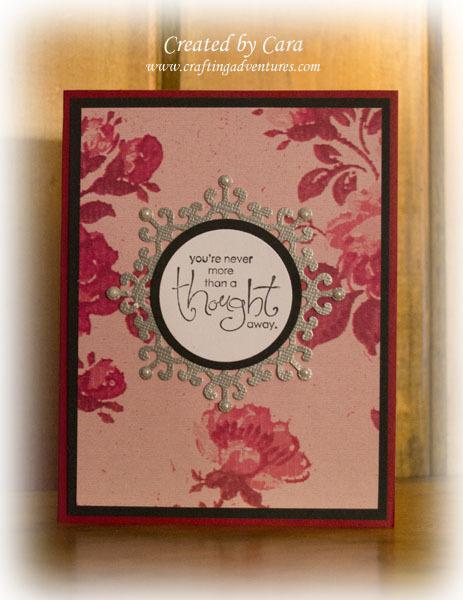 Wonderful cards, Cara, and a great midweek challenge!! I seem to be having issues trying to leave comments on blogs, what great cards everyone has! !